The visitation panels set up by Governor Kayode Fayemi over the financial activities of some tertiary academic and health institutions in Ekiti State have indicted the managements of the institutions for alleged abuse of office. Among the infractions allegedly committed by the managements, according to the government, were cases of financial recklessness allegedly perpetrated by heads of the institutions. Briefing newsmen in Ado Ekiti yesterday after the two days State executive council meeting presided over by Fayemi, the Chief Press Secretary, Yinka Oyebode, said the council considered the white paper on each of the institutions and took far reaching decisions on them. He said part of the decisions taken was that, the government must set up functional governing councils in all the institutions to be able to implement panelsâ€™ decisions in line with the laws. The institutions are: Ekiti State University, Ado Ekiti(EKSU), College of Education, Ikere Ekiti, College of Science and Health Technology, Ijero, Ekiti State University Teaching Hospital, Ado Ekiti(EKSUTH) and the Broadcasting Service of Ekiti State (BSES). By implications, those that may either be removed or prosecuted by anti graft agencies are: the Vice Chancellor of EKSU, Prof Samuel Oye Bandele, Provost of the College of Education, Prof Mojisola Oyarekua, former Director General of BSES and Fayoseâ€™s Media Aide, Lere Olayinka, EKSUTH Chief Medical Director, Dr Kolawole Ogundipe and ex-Provost of College of Health Science and Technology, Ijero Ekiti, Pastor David Ojo. Oyebode said: â€œthe Ekiti State executive council during its meeting of of Wednesday and Friday of January 17 and 19 respectively received the white paper on the recommendations of the visitation panels by each of the institutions in the state and gave approval for their implementations. â€œCouncil observed a general trend of leadership and administrative challenges in the institutions. â€œIt also observed abuse of office and financial recklessness in some of the institutions. â€œIt was decided that government would take immediate steps to put in place governing councils in the five institutions that will be saddled with the responsibility of implementing the recommendations contained in the white paper. â€œThe state government is committed to ensuring that all institutions in the state are repositioned for excellent service deliveryâ€, he stated. 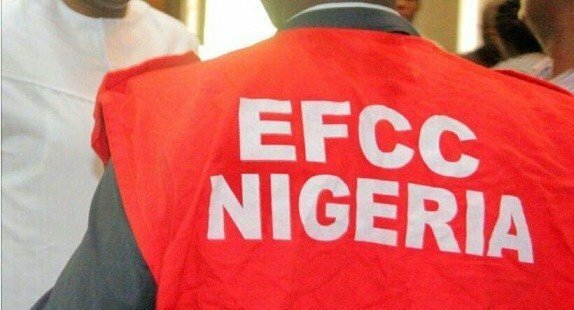 However, Oyebode did not go into the details of the recommendations, but it was gathered that many of the affected heads of the institutions will be arrested and prosecuted by the Economic and Financial Crimes Commission (EFCC). It was also revealed that some will be made to make refunds for alleged misappropriation of funds.